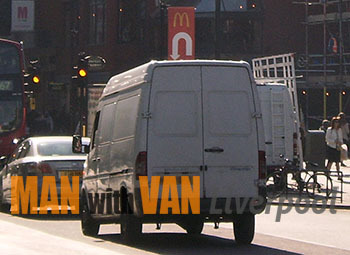 What our man and van Old Swan L13 covering services offer you is comfort and peace of mind without compromise. Our dedicated movers and packers in Old Swan are going to handle every little detail of the job that you have for them and not allow for you to go through any of the hassle and stress that are usually be associated with moving homes or offices. Old Swan L13 is a residential district in the inner parts of Liverpool. It is an attractive area, as it is evident from the rapid increase in population here from 12 938 in 2001 to 16 461 in 2011. Prescot Road is the main shopping area here, with a wide range of clothing and furniture shops along it. Notable members of the local community include Dennis Evans, former Arsenal F.C. captain and Manchester United’s former manager Ron Atkinson. Relocation of single items, bulky/awkward objects, heavy appliances etc. Safe removal of high value possessions, music instruments, antiques, artwork etc. Student relocation, partial property removals, home office relocations etc. Relocation of all other private and commercial items which fit in our vans! Our professional cargo drivers who are also experienced movers will take the time and effort to ensure the safety and integrity of items during handling and transit. The guys will do the packing, securing, labelling and loading/unloading of goods in order to save customers time, effort and resources. The drivers slash movers we work with, are also qualified and experienced to perform specialised furniture collection and delivery to/from customer specified address. In addition, we can also arrange of quick, safe and inexpensive rubbish removals for households and commercial establishments. Our junk removal services are licensed, and carried out in accordance to all applicable health, safety and environmental regulations. Because we know how frustrating it is to wait around for items to be transported from A to B, we maintain a fleet of specialised removal vans of various sizes and load capacity. If necessary we can dispatch more than one vehicle and make sure everything is delivered on time and intact. All vehicles are tracked in real time using GPS signal. Cost wise, our specialised man and van Old Swan will be a pleasant surprise for both private and business customers. We provide everyone with individually prepared quotes reflecting the actual scale and complexity of the job. Our customised pricing does not contain any hidden fees. Customer have access to flexible booking hours, twenty four seven assistance and advice service, and will also receive choice of different payment methods. Old Swan is one of the inner city districts of Liverpool. 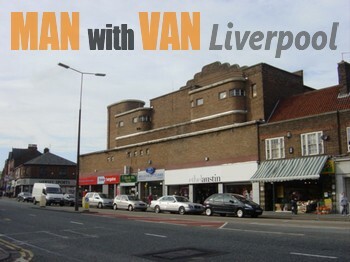 The area is situated quite strategically right near Liverpool’s city centre. The suburb takes its name from a popular roadside pub called Three Swans. The pub which was established on a busy crossroad served travelling merchants and other people going up and down the road, during the eighteenth century. The peculiar name of the pub (and subsequently the area) comes from the heraldic of the coat of arms of a local noble family – The Waltons. The original Three Swans pub is now gone, initially there were two inns in its place, though now there is only one – The Old Swan.